FORTUNE -- Being family-owned usually shields Cargill from having to make hard choices that are not in the best long-term interest of the company. But that wasn't the case when it came to the $19 billion sale earlier this year of Cargill's 64% stake in the highly profitable, publicly traded fertilizer maker Mosaic (No. 346 in the Fortune 500). The family didn't just force CEO Greg Page's hand in this case -- it did so from beyond the grave. When Margaret A. Cargill, the granddaughter of founder William Wallace Cargill, died in 2006, childless and unmarried, she was by far Cargill's largest shareholder, with a 17% stake in company. In her lifetime, she lived modestly and gave generously to organizations such as the Red Cross and the San Diego Humane Society, to which she donated $6.2 million. (She was predeceased by her beloved poodle mix, Kari, whose portrait hangs at the Humane Society.) 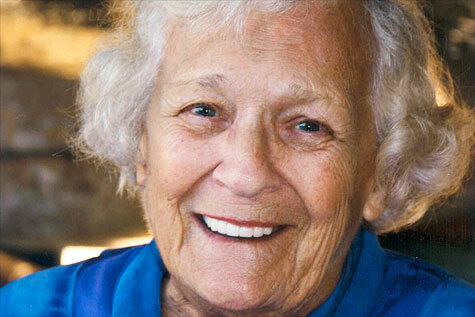 At her death, her shares went into a trust whose chief beneficiary was the Margaret A. Cargill (MAC) Foundation. Those shares, however, as with all shares in closely held Cargill, were essentially illiquid. That's why Cargill had to unwind its position in Mosaic (MOS, Fortune 500). In exchange for Margaret's 17% stake in Cargill, the company gave the MAC foundation 115 million shares of Mosaic. Cargill sold another 107.5 million Mosaic shares to pay off $6.8 billion of debt, and distributed the rest of its Mosaic stock to the family. Since May, the MAC foundation has sold 29 million shares of Mosaic for $1.7 billion. It still holds 86 million shares, currently worth about $4.8 billion. Unfortunately, Mosaic's share price has fallen 34% since the deal was announced in January. That means reports that the MAC Foundation would debut at No. 3 on the list of the country's biggest charitable foundations, behind Gates and Ford, are false. It will still rank in the top 10, though. "In a perfect world for Greg Page," says the CEO, "she made a choice that I would have preferred not. But I can't begrudge somebody that wants to do good." Or prevent her.